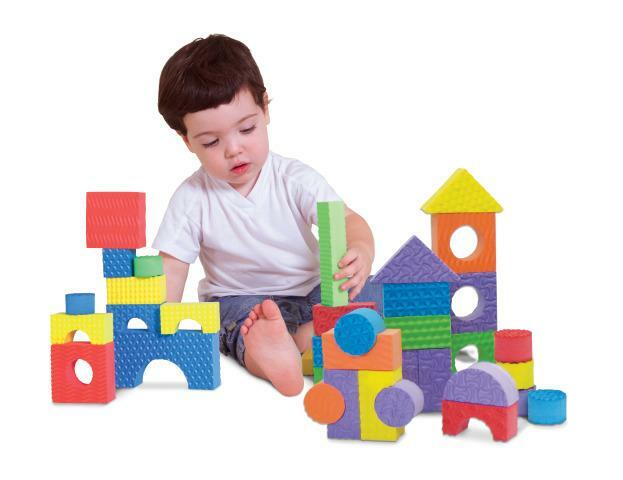 Safe, soft, durable textured foam blocks, assorted sizes, colors and shapes. Great product for building, stamping and stimulating touch senses with surface textures. Set includes: 80 assorted block shapes, sizes and colors. Blocks are 1" thick.